The Guardian has won a ten-year legal battle which could force the Government to release letters sent from Prince Charles to ministers. The Supreme Court has upheld a decision made by the Court of Appeal last year which said former Attorney General Dominic Grieve had “no good reason” for using his ministerial veto to block the release of the letters. Grieve had sought to override the decision of a Freedom of Information Tribunal in favour of disclosing the 27 pieces of correspondence sent between Charles and Labour government ministers in 2004 and 2005. Guardian journalist Rob Evans made his initial Freedom of Information Act request to see the letters in April 2005. His request was refused by the Government departments concerned and that refusal was then upheld by the Information Commissioner at the first stage of appeal. A further appeal to the Information Tribunal saw a ruling in 2012 that some of the letters, referred to as “advocacy correspondence”, should be disclosed. This led Grieve to issue a certificate vetoing disclosure of the documents. By a majority of 5:2, the Supreme Court today ruled that the certificate was invalid. Section 53 FOIA 2000 does not permit the Attorney General to override a decision of a judicial tribunal or court by issuing a certificate merely because he, a member of the executive, considering the same facts and arguments, takes a different view from that taken by the tribunal or court. This would be unique in the laws of the United Kingdom and would cut across two constitutional principles which are fundamental components of the rule of law, namely that a decision of a court is binding between the parties and cannot be set aside, and that decisions and actions of the executive are reviewable by the courts, and not vice versa. 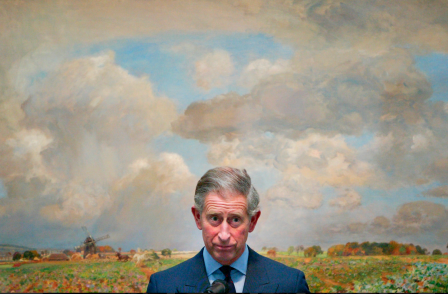 The Charles letters are believed to present his views to Blair government ministers on issues ranging from GM crops and climate change to architecture. According to The Sun, Prime Minister David Cameron may seek to change the law in order to prevent the release of the letters. Director of the Campaign for Freedom of Information Maurice Frankel said: "This is a critical decision which strengthens the FoI Act. It says the courts not ministers normally have the last word. Read the judgment in full here.